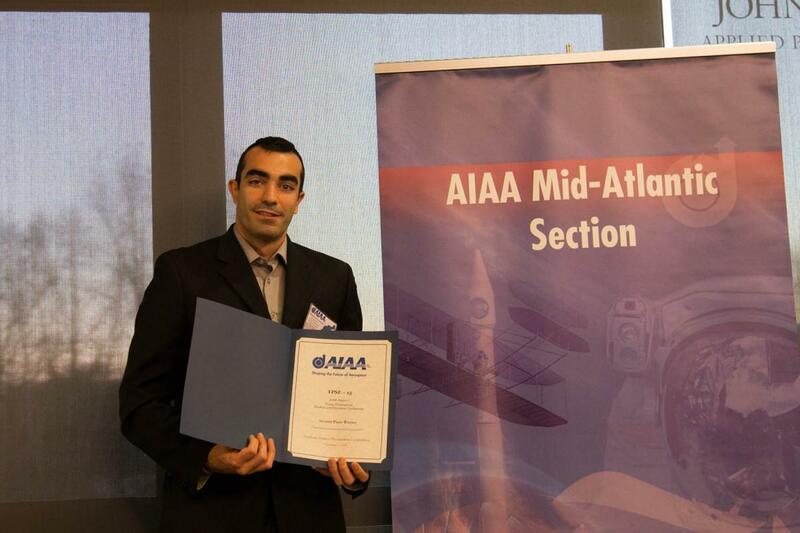 Three Aerospace Engineering students receive recognition at the 2015 American Institute of Aeronautics and Astronautics (AIAA) Young Professional, Student, and Education (YPSE) Region 1 Conference held November 13 at Johns Hopkins University's Applied Physics Laboratory. 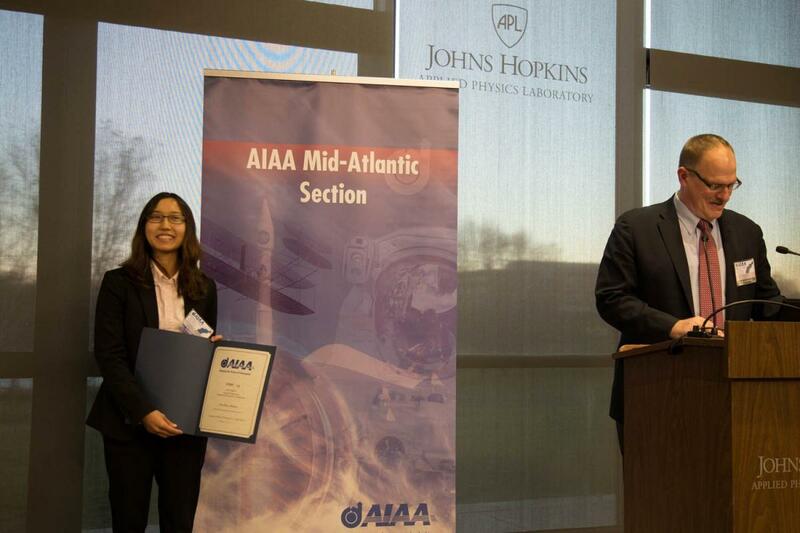 Elena Shrestha placed first in the graduate division with her paper titled, "Disturbance Rejection Capability of a Cycloidal-Rotor-Based Aircraft." Her faculty advisor is Distinguished University Professor Inderjit Chopra. Jonathan Geerts placed second in the graduate with his paper, "Shock Train/Boundary Layer Interactions in Rectangular Scramjet Isolators." His faculty advisor is AssociateProfessor Kenneth Yu. Undergraduate Julia Downing received an Honorable Mention in the undergraduate category with her paper, "Identifying Deformation Mechanisms in Magnetostrictive Alloys for Improved Flow Sensor Design." Her faculty advisors were Professor Alison Flatau and Associate Research Scientist Dr. Suok-Min Na.